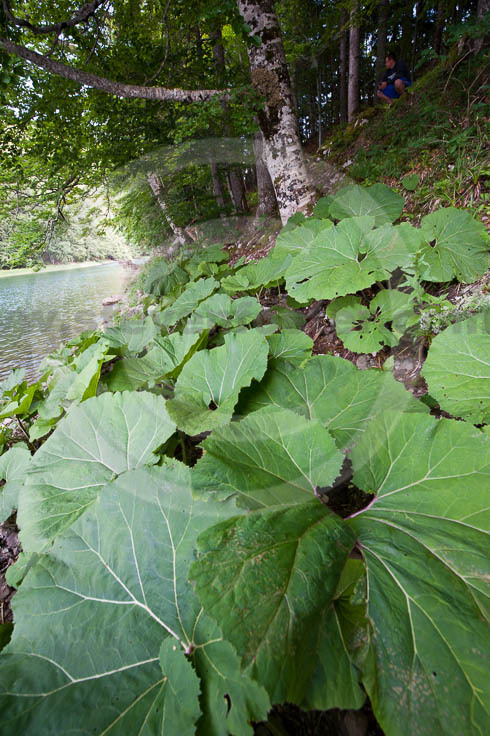 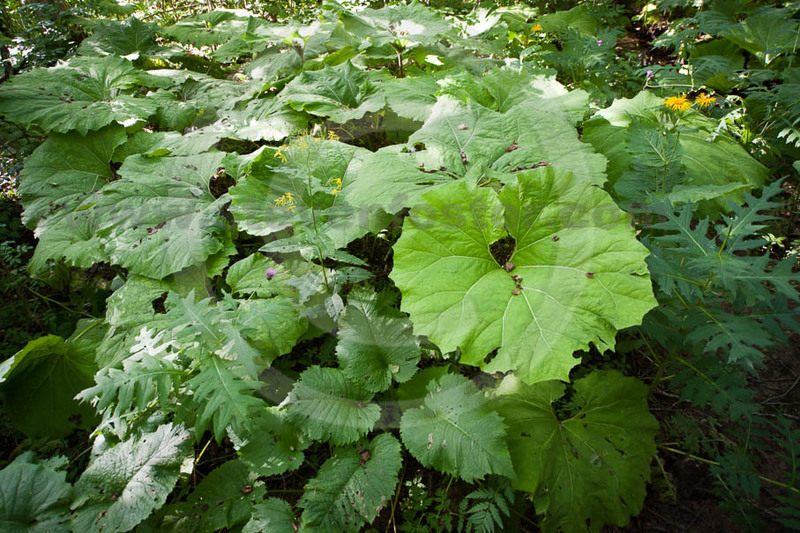 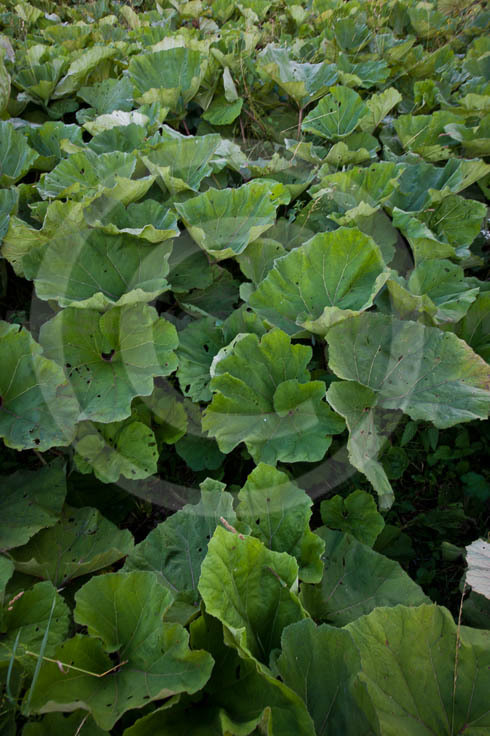 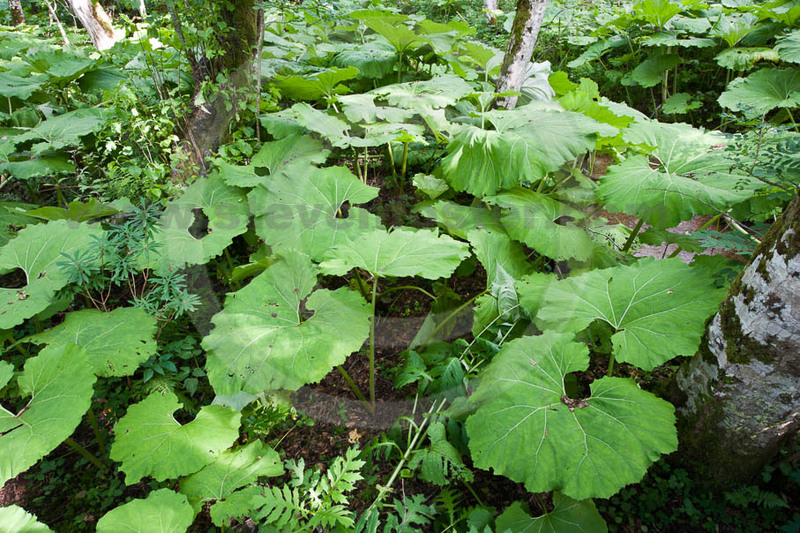 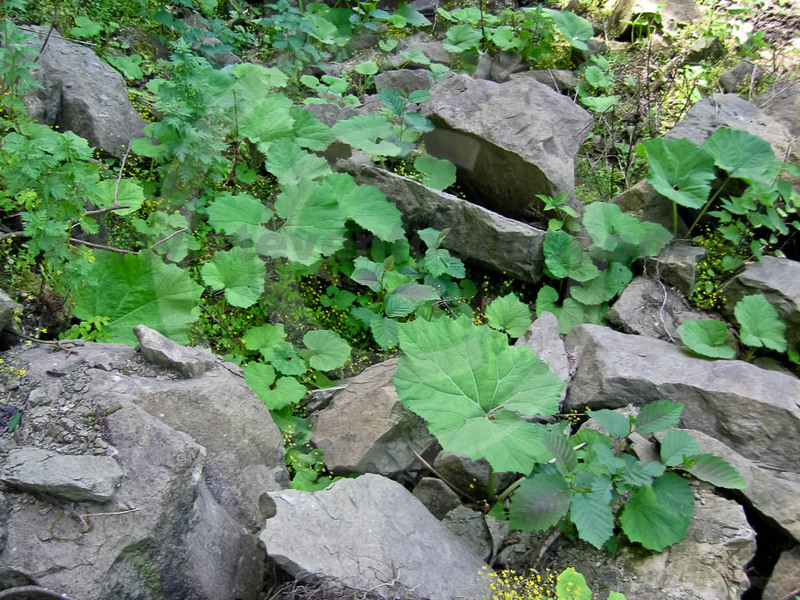 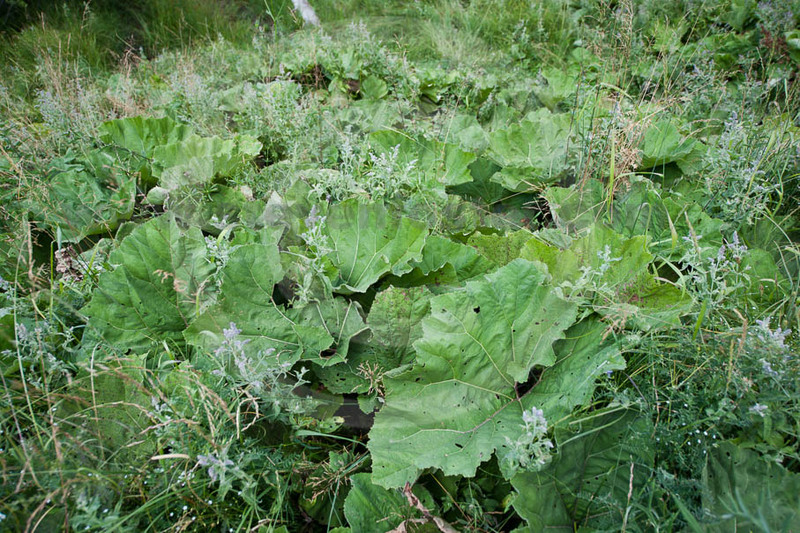 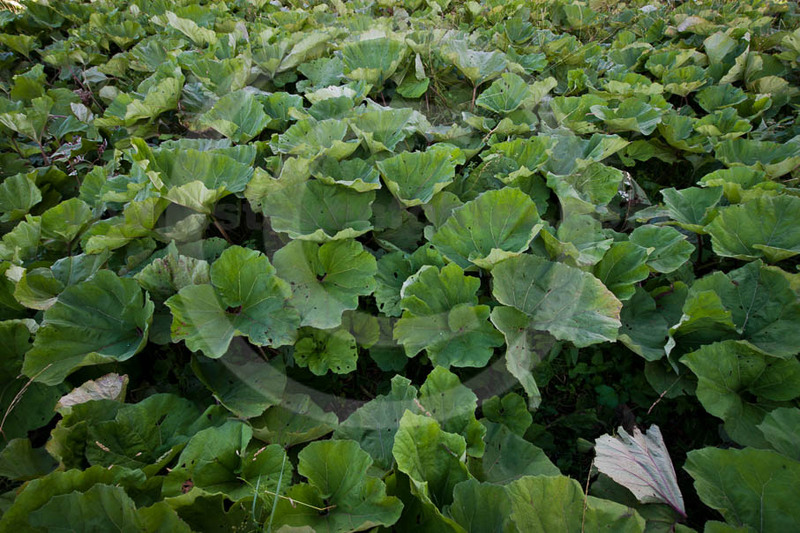 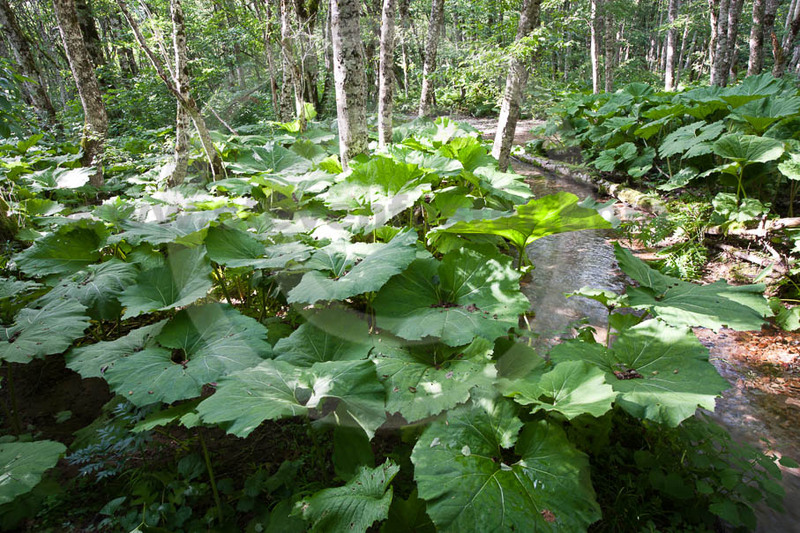 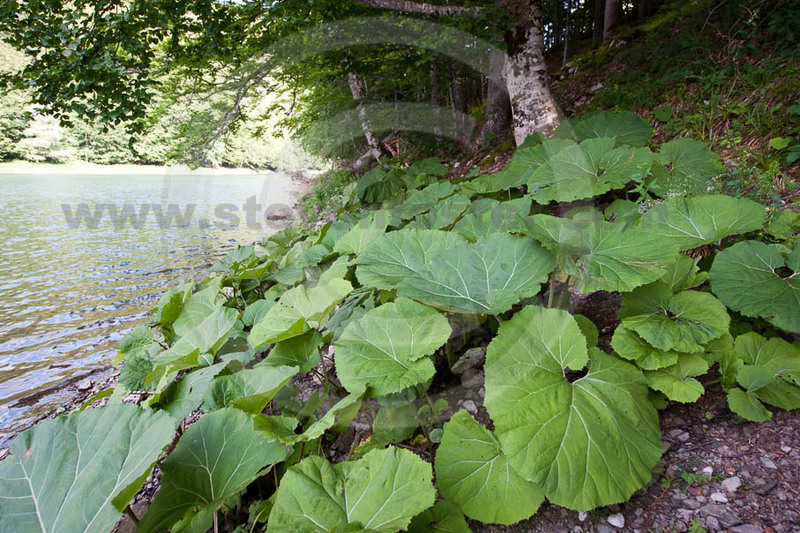 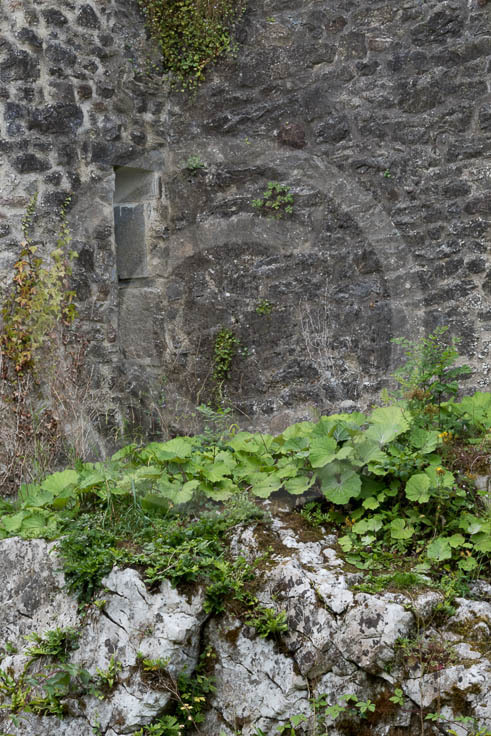 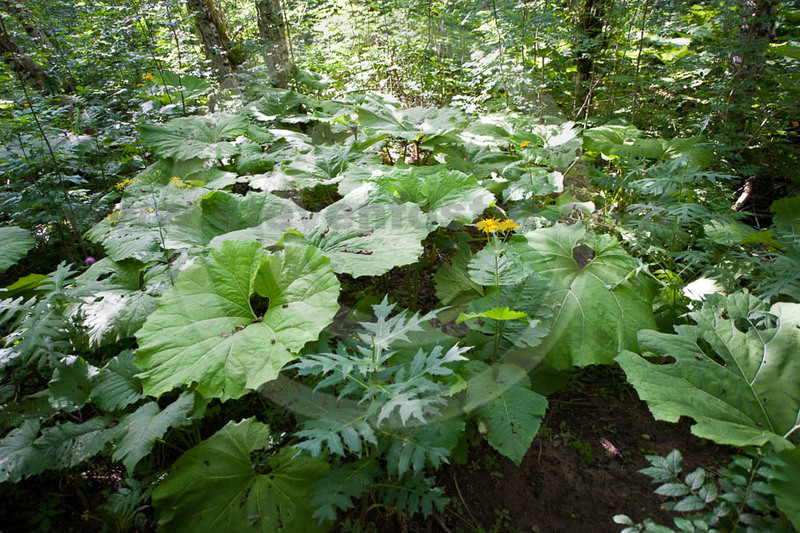 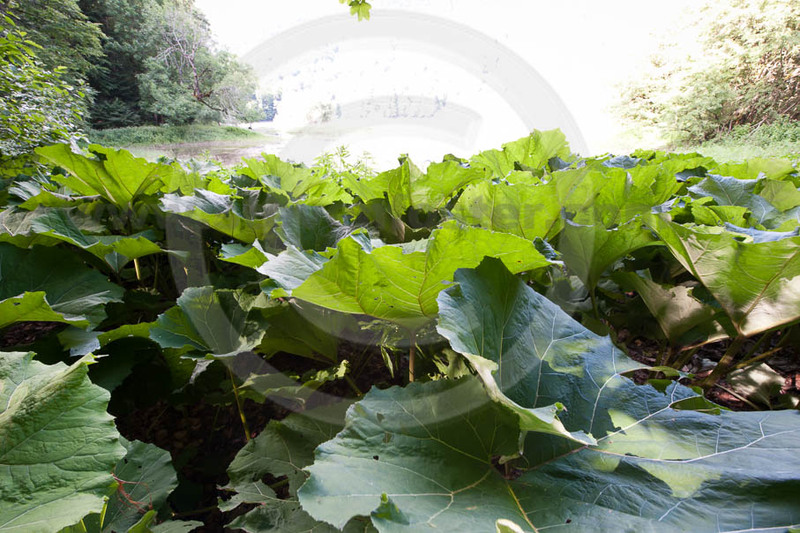 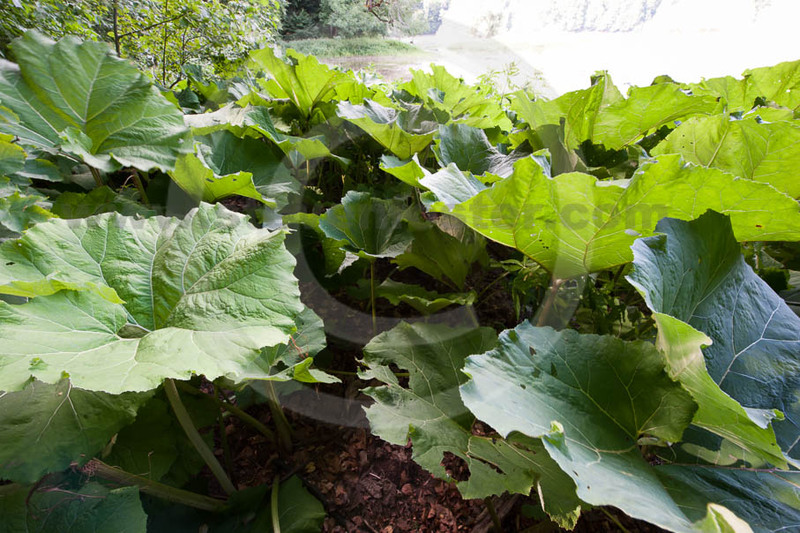 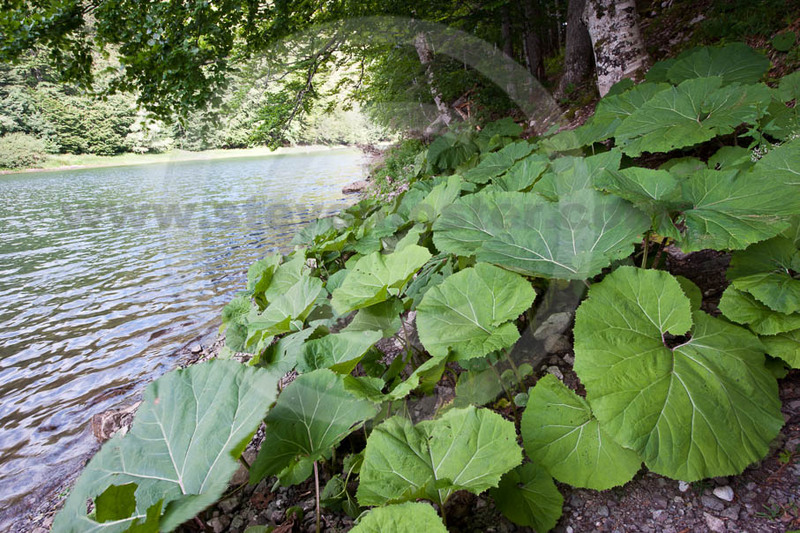 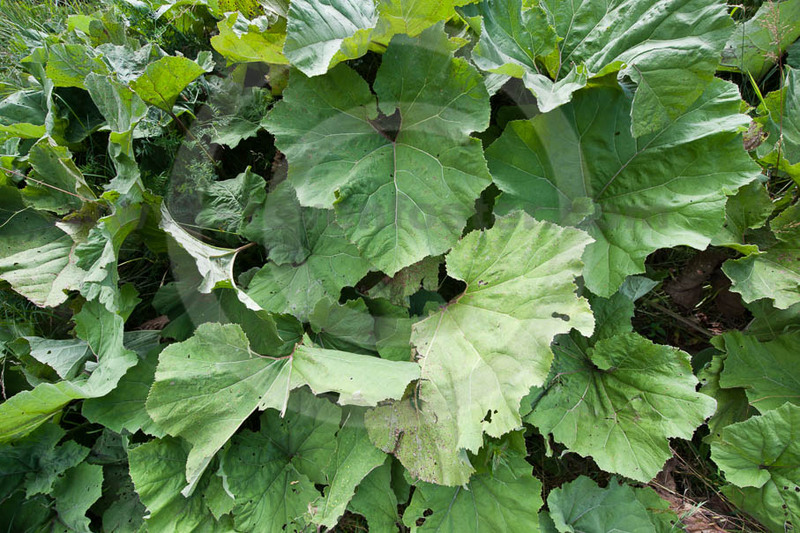 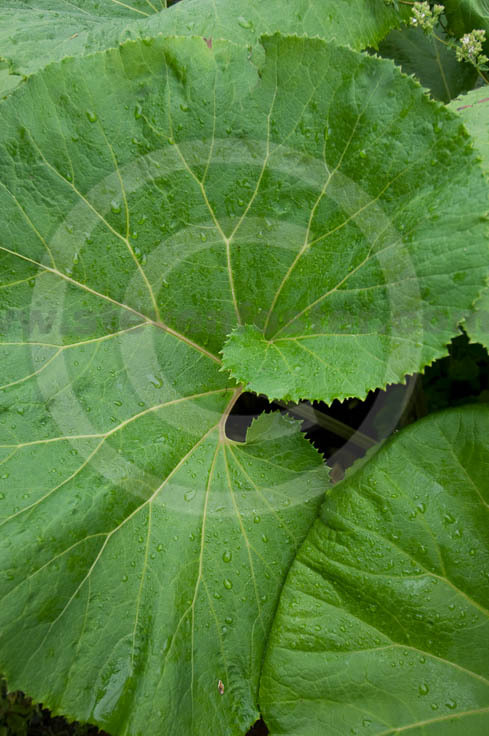 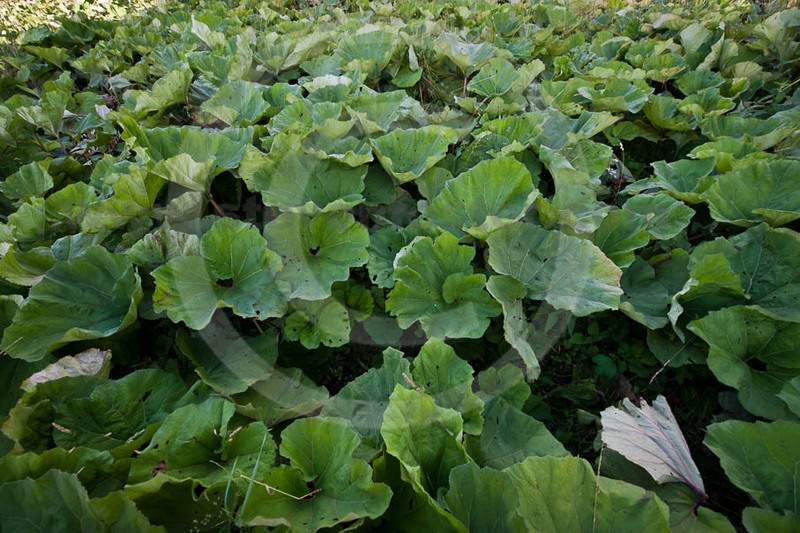 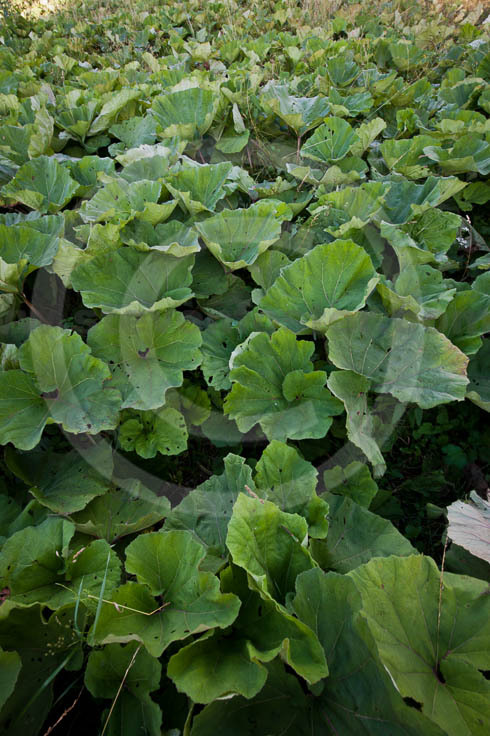 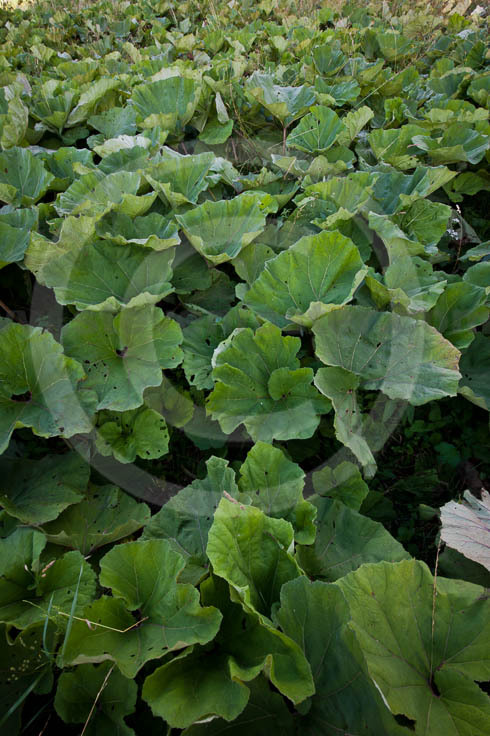 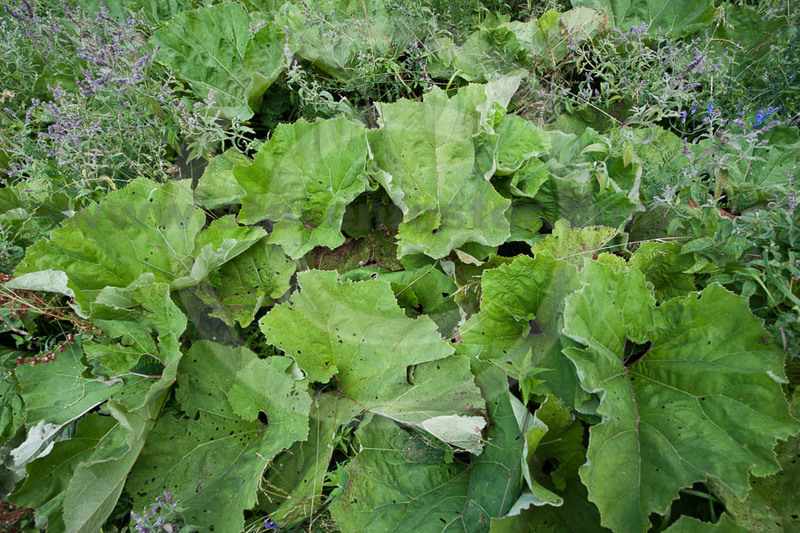 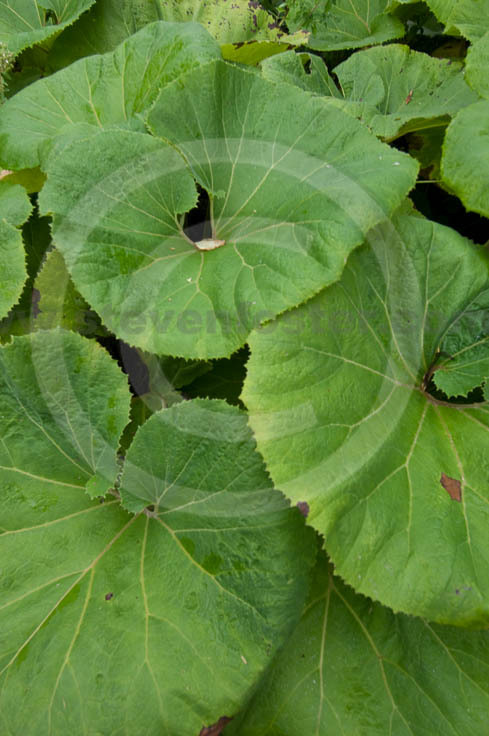 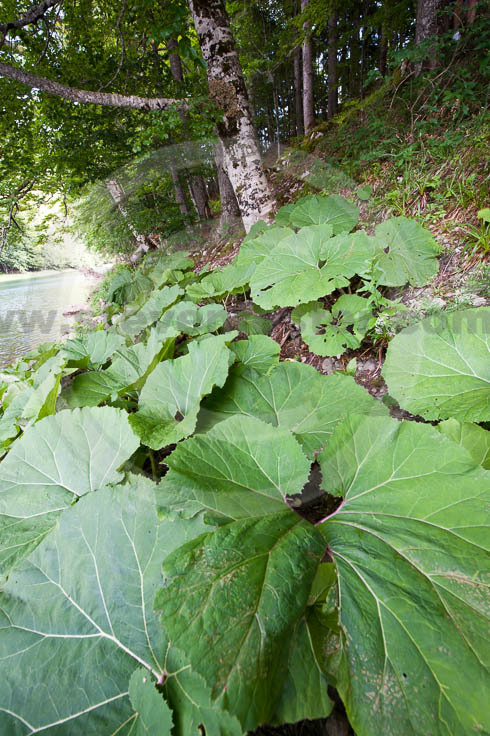 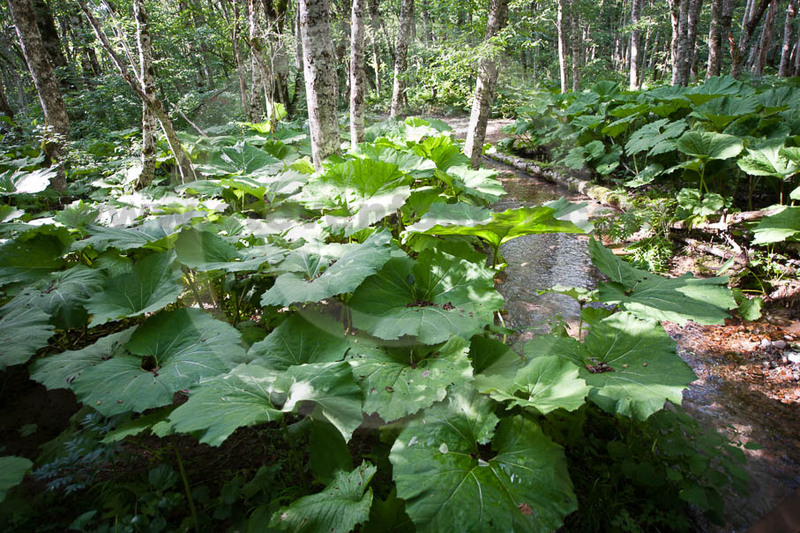 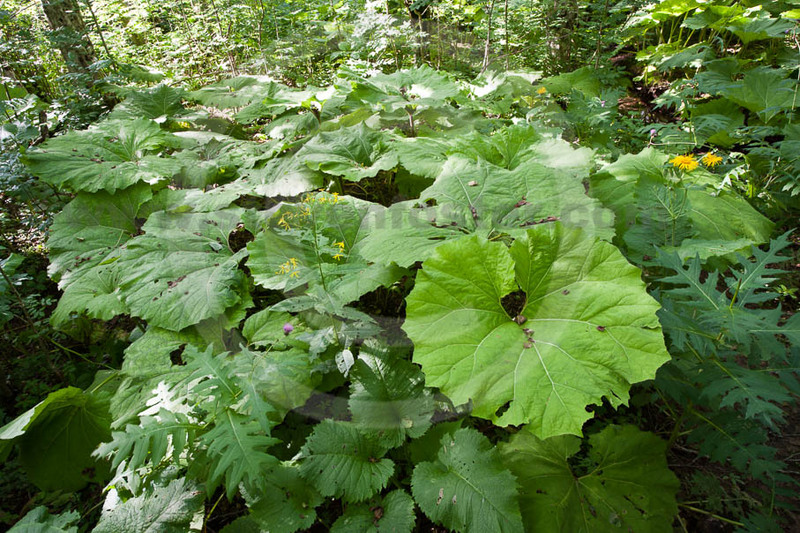 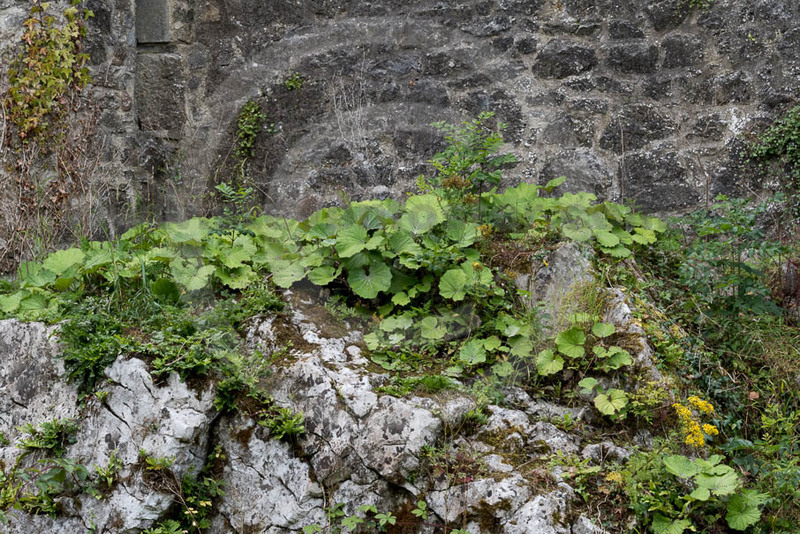 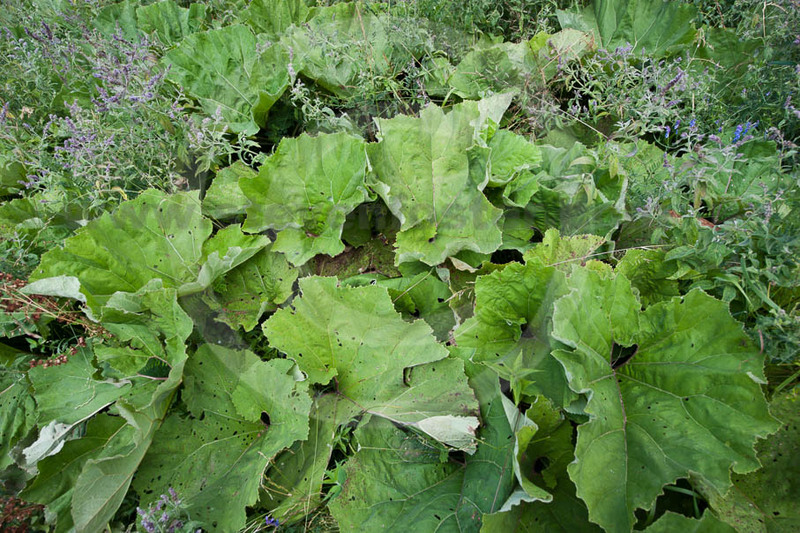 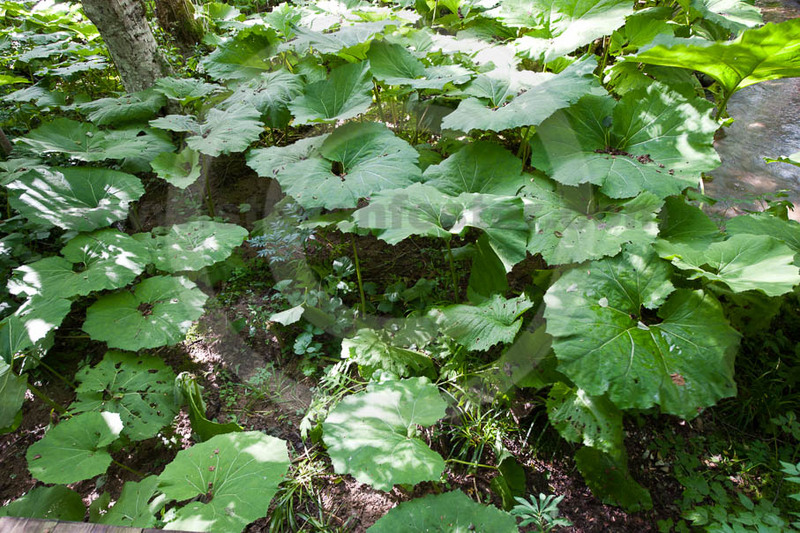 Petasites hybridus, Butterbur is a widespread, large-leaved perennial found in wet soils in much of Europe, and naturalized elsewhere. 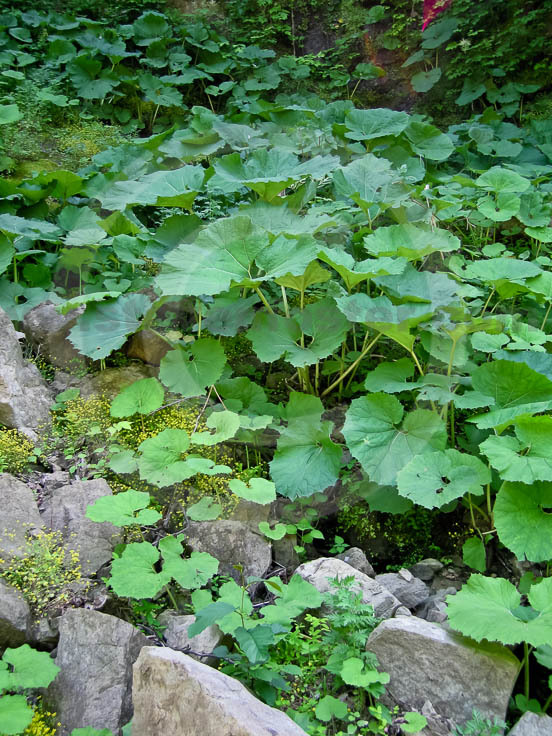 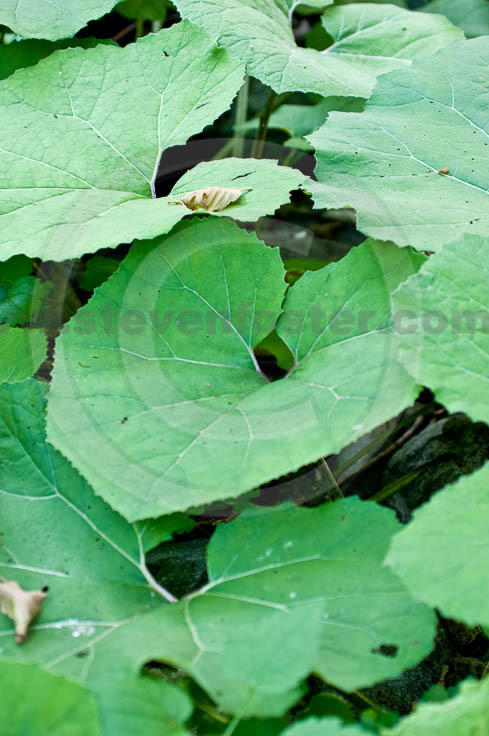 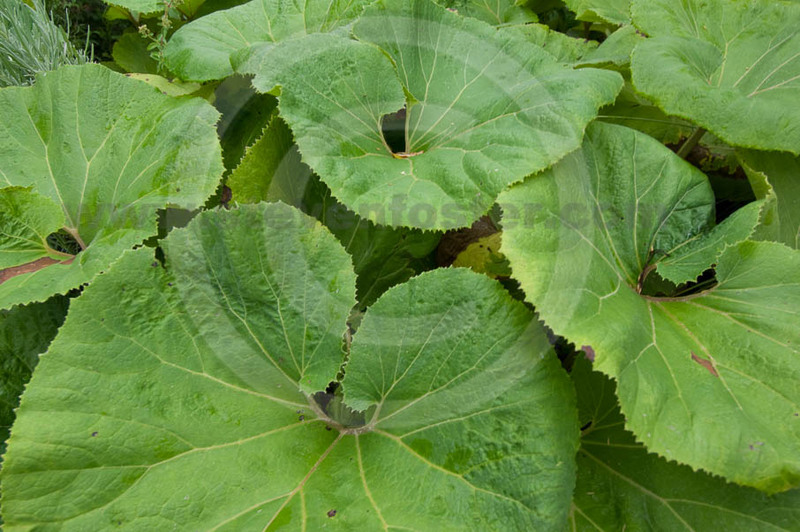 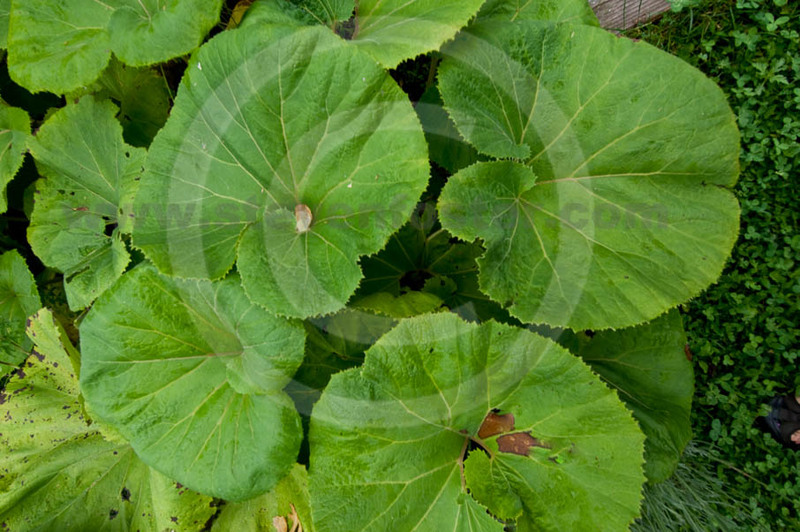 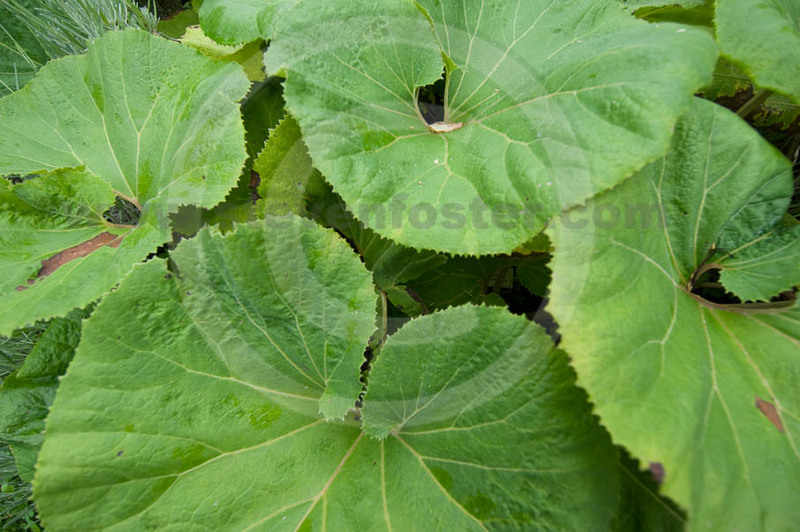 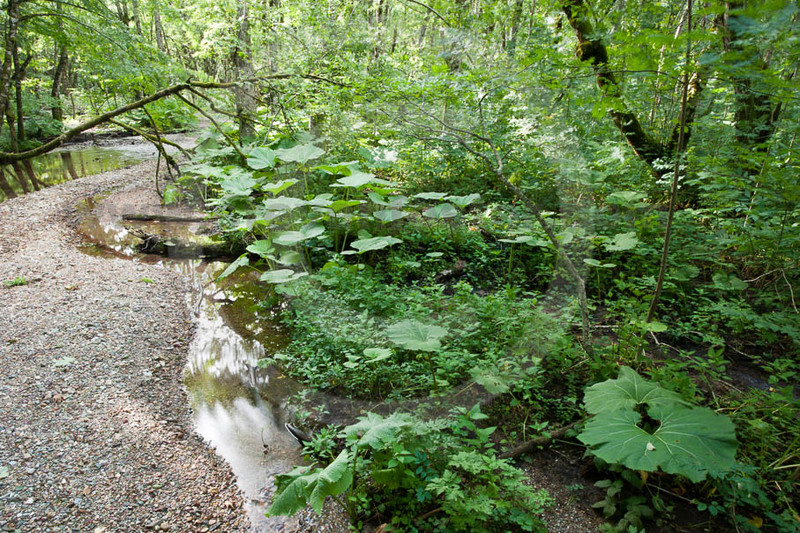 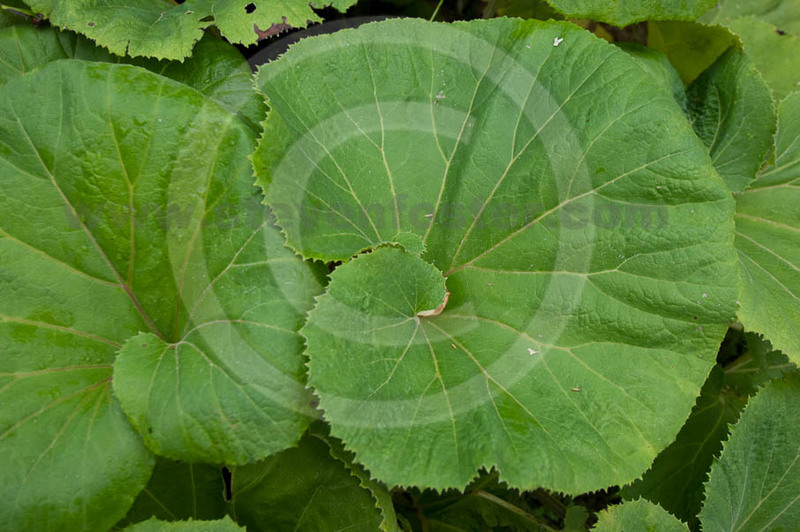 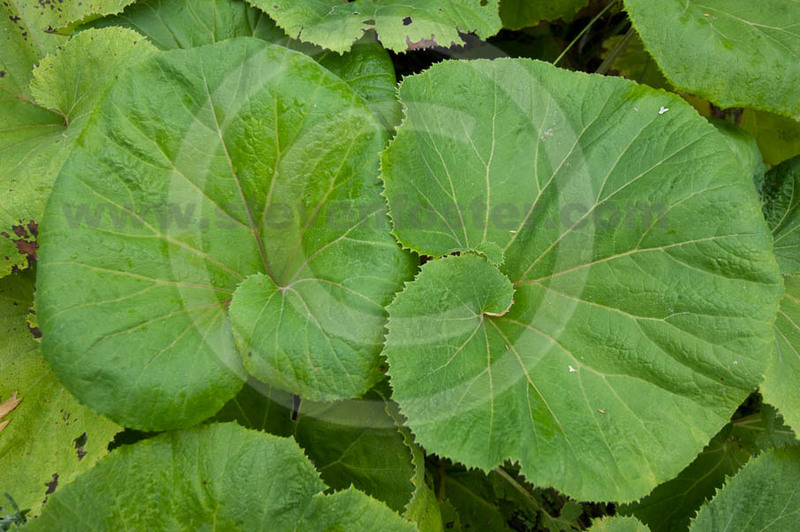 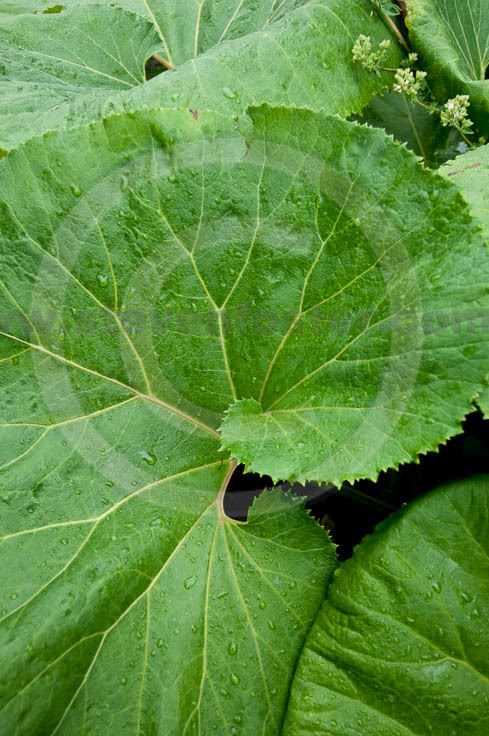 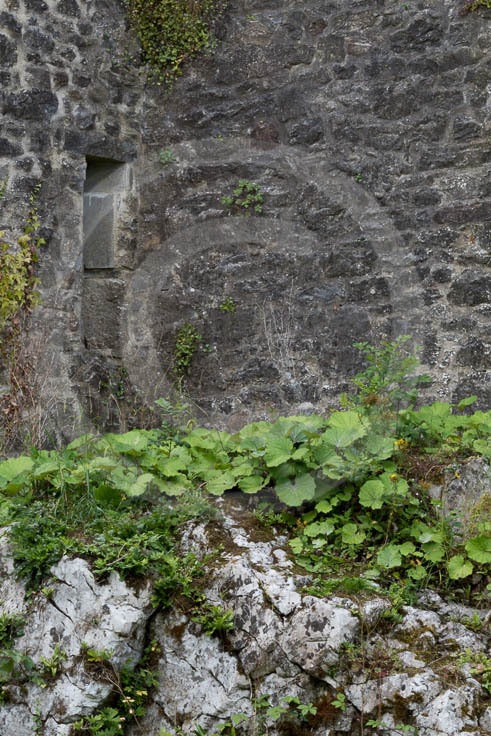 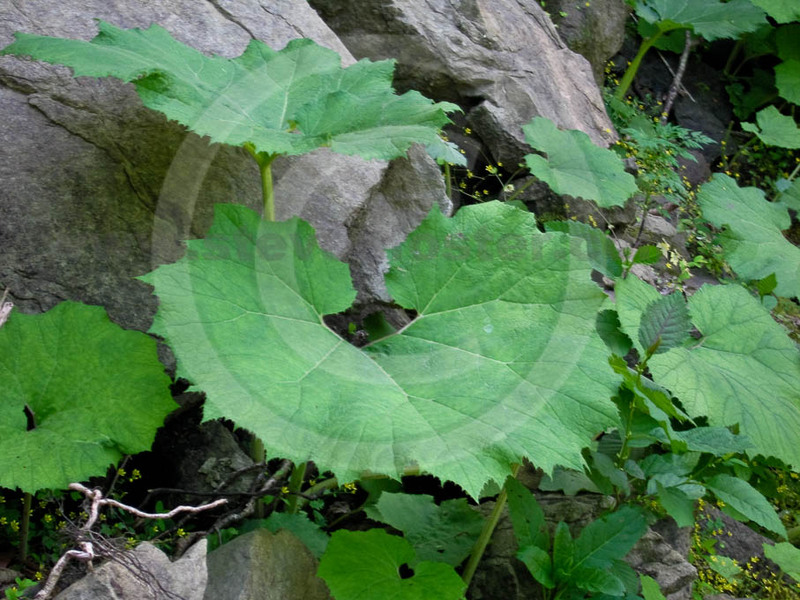 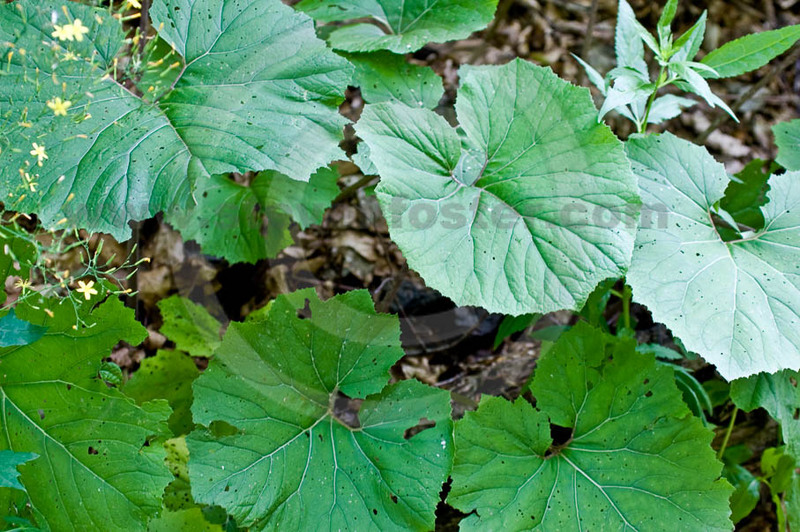 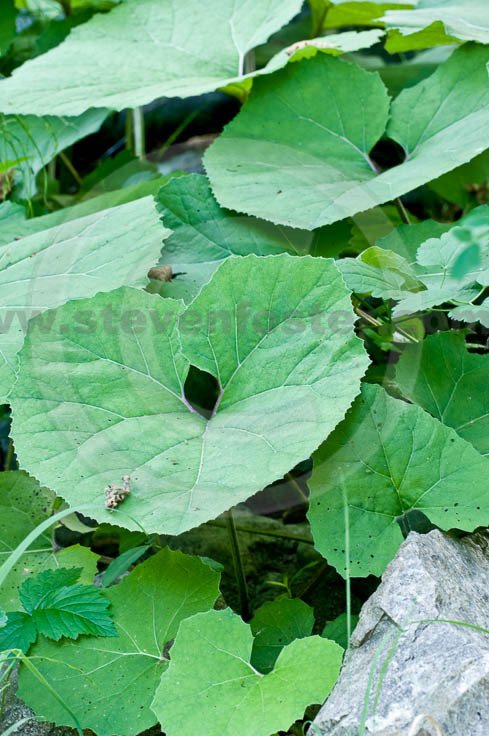 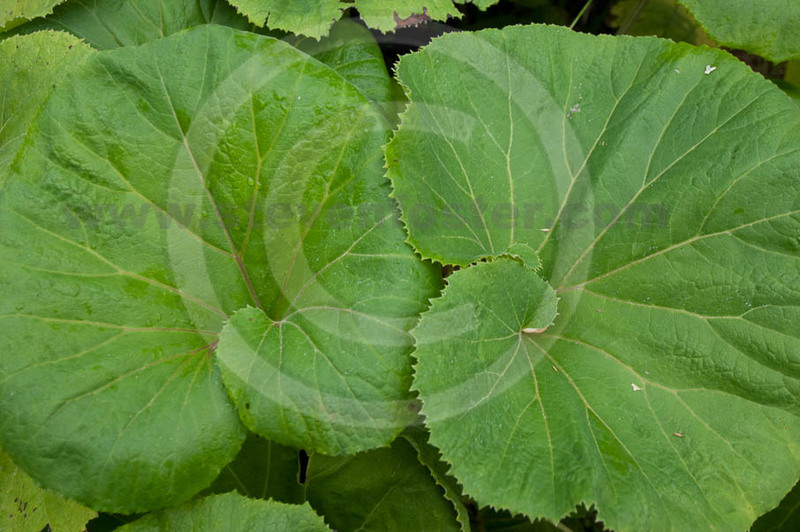 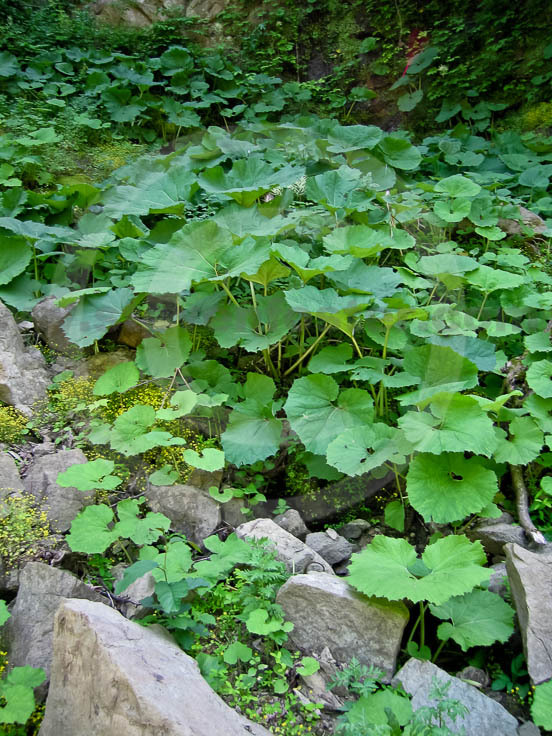 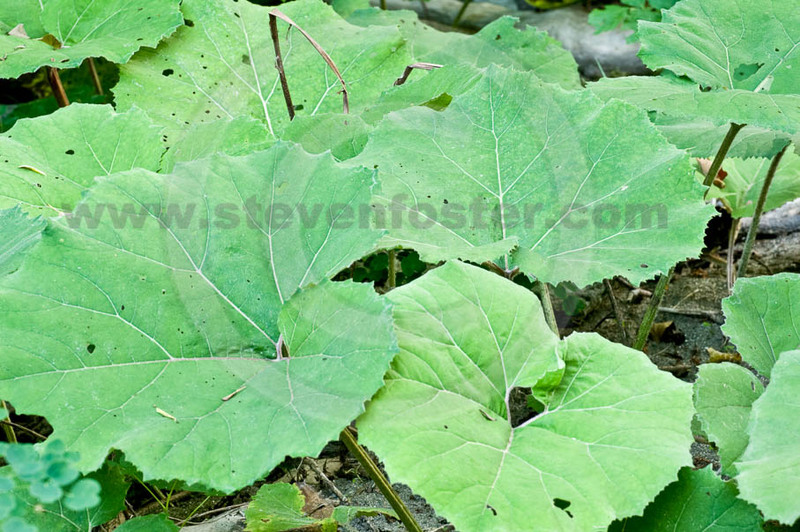 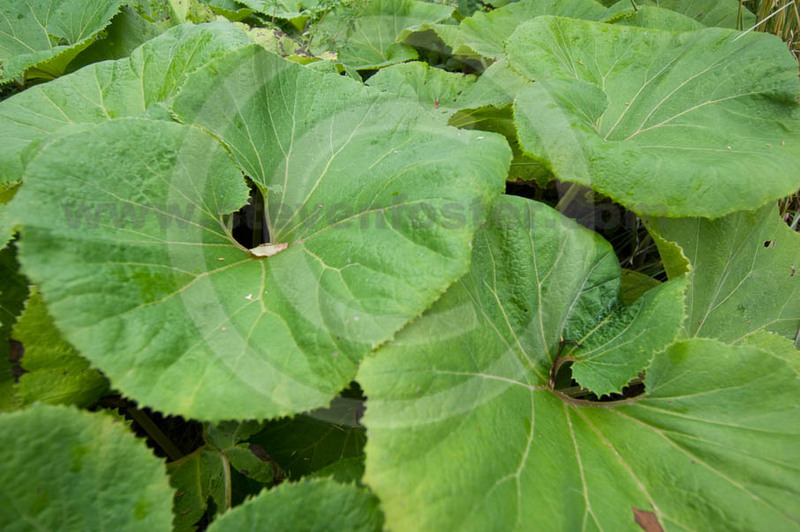 Traditionally, the leaves and roots have been used for lung ailments, digestion and improved bile flow, also inflammation of the urinary tract. 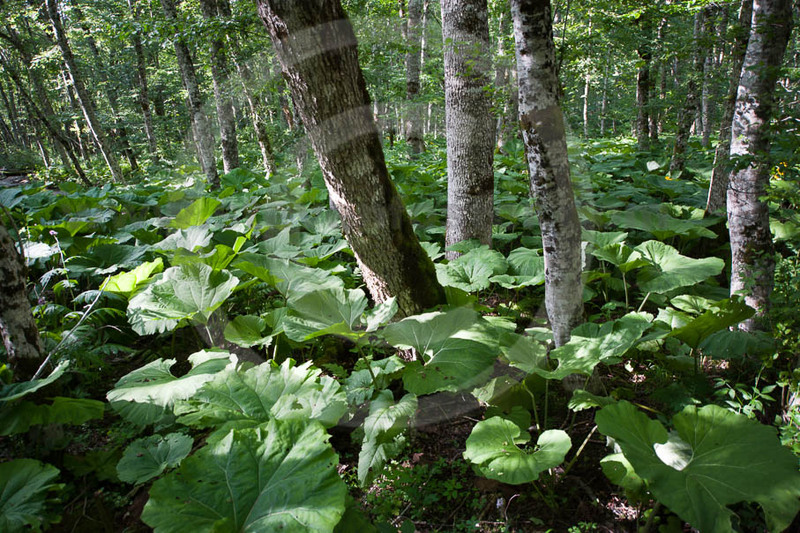 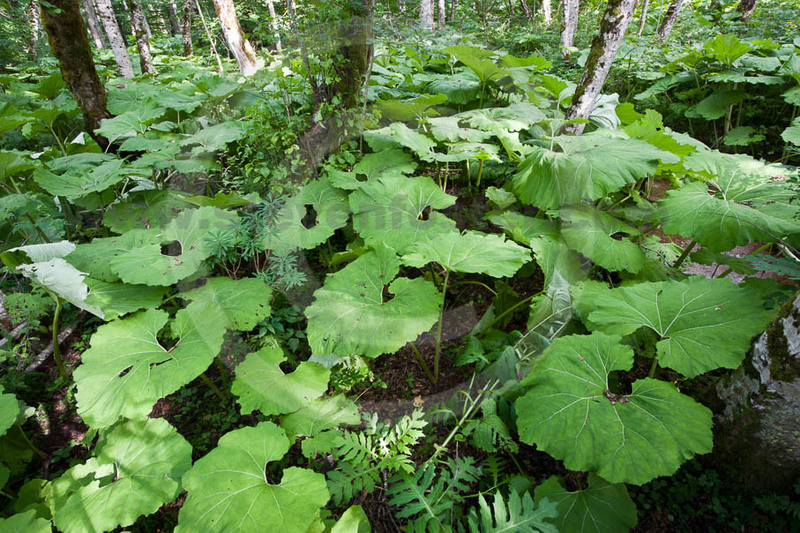 Petasites root extracts show promise as a preventative therapy for migraine, and in the prevention of bronchitis, and allergic rhinitis. 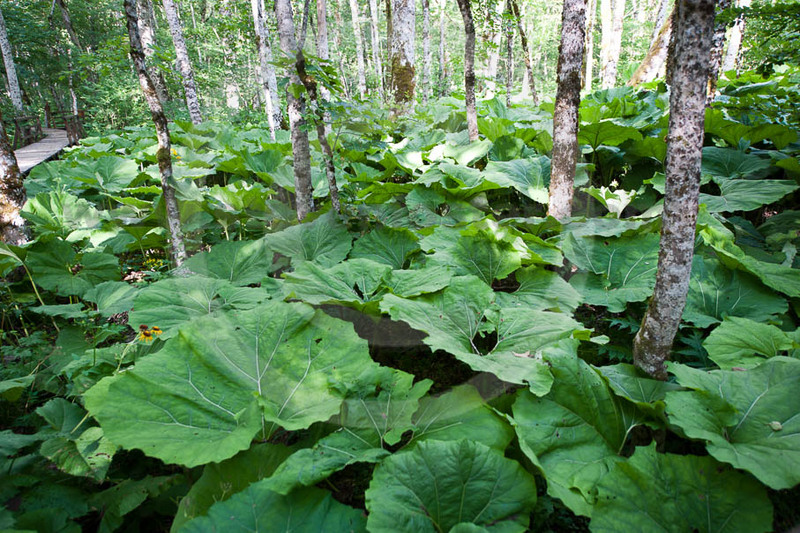 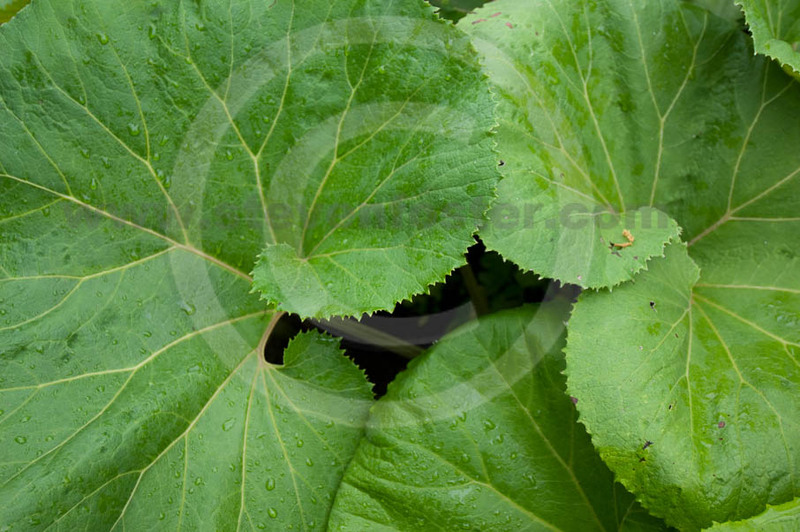 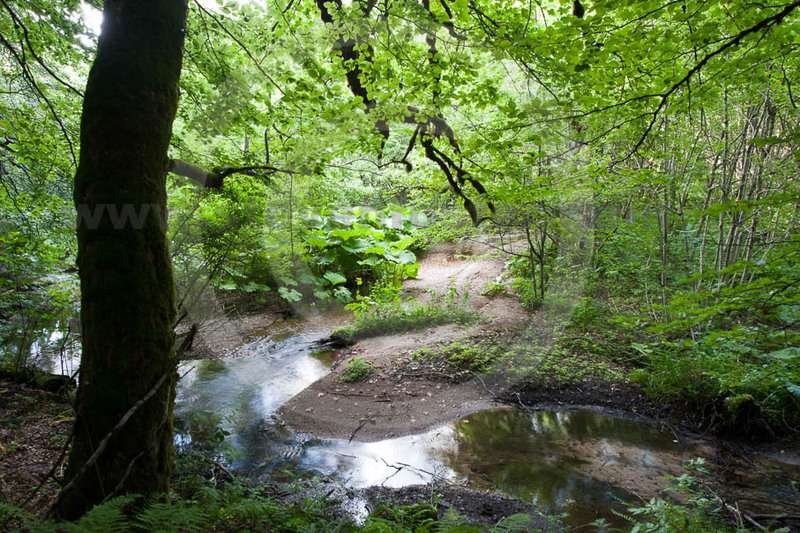 Petasites is a member of the Aster Family (Asteraceae or Compositae). 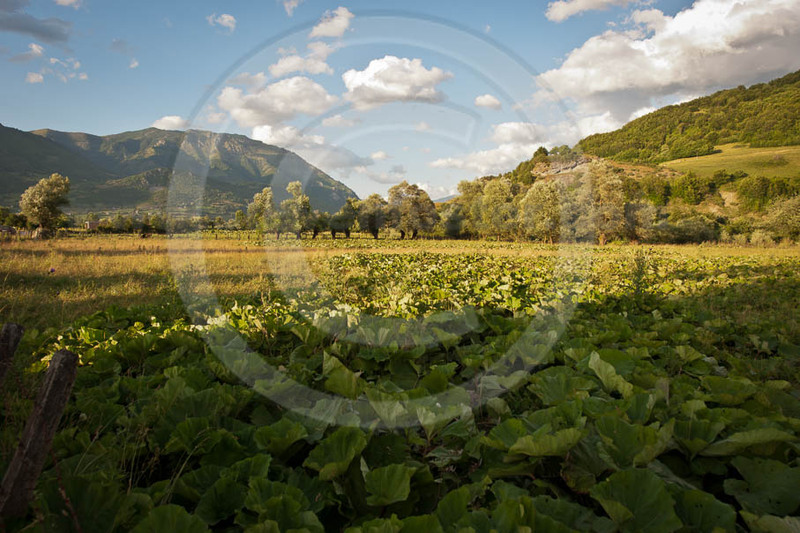 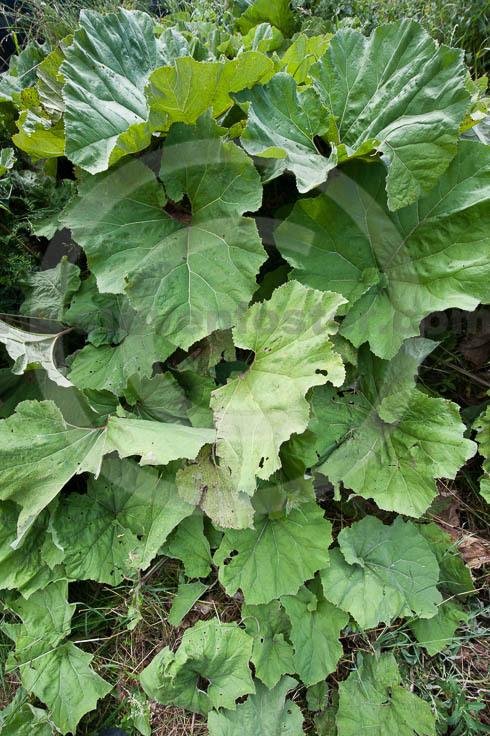 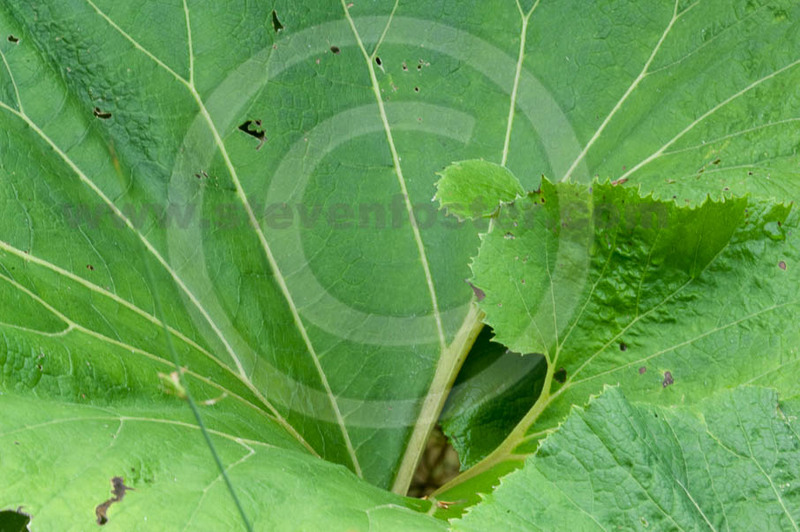 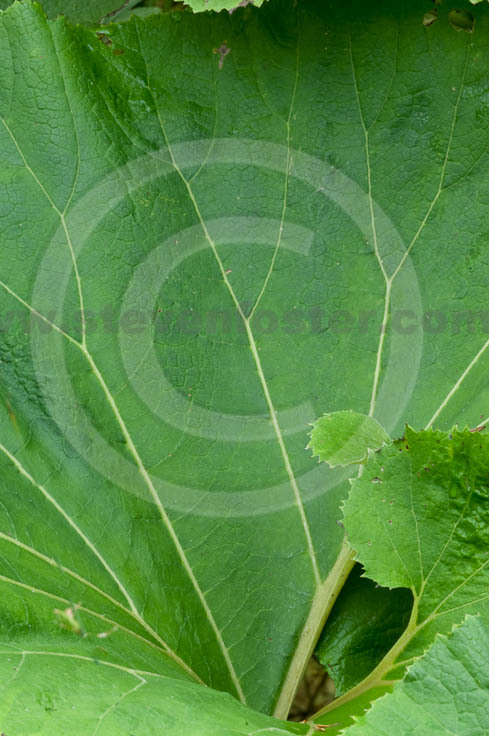 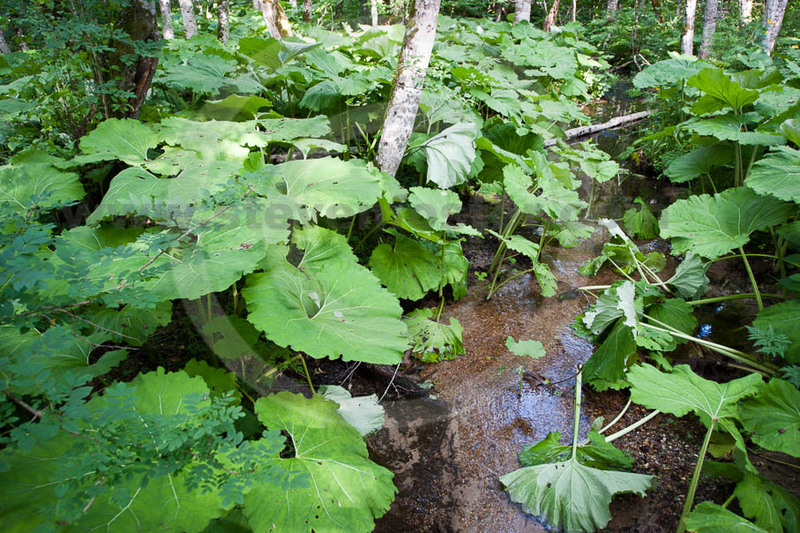 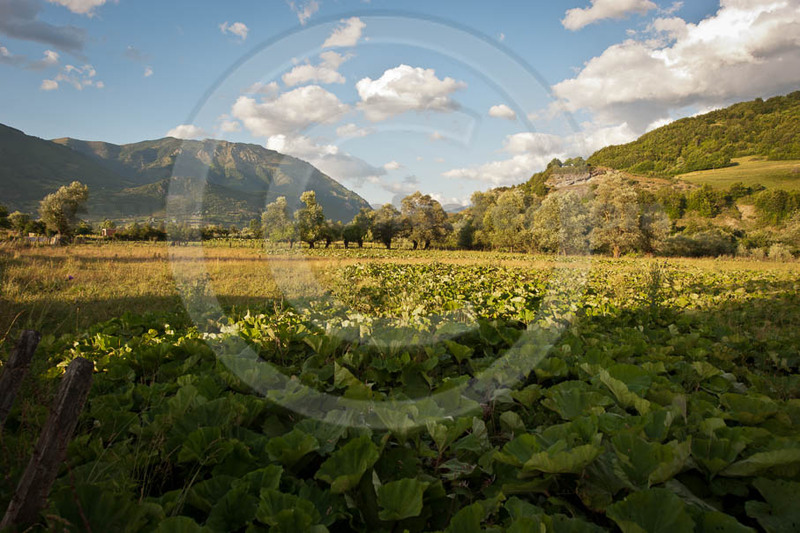 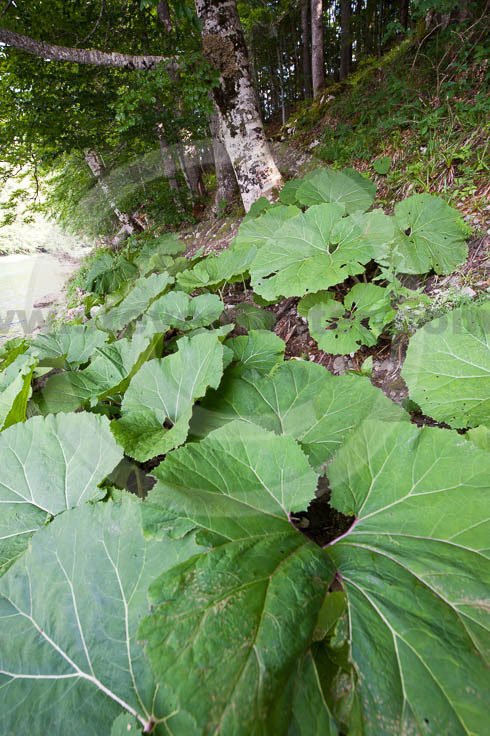 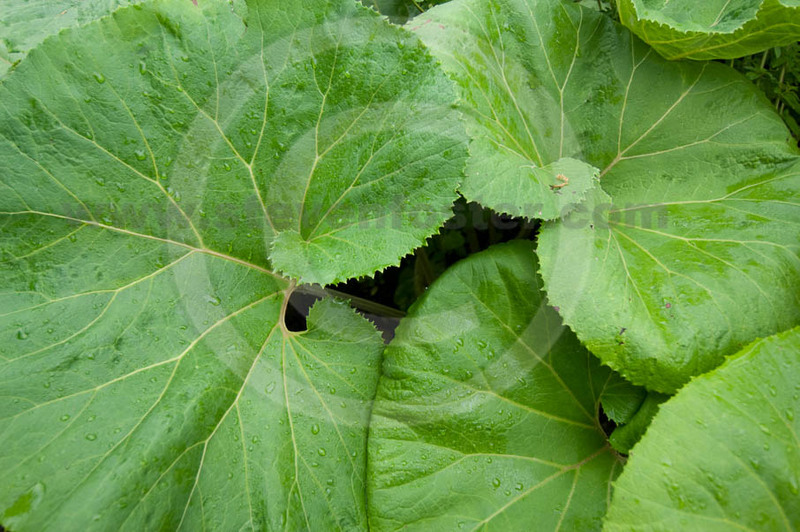 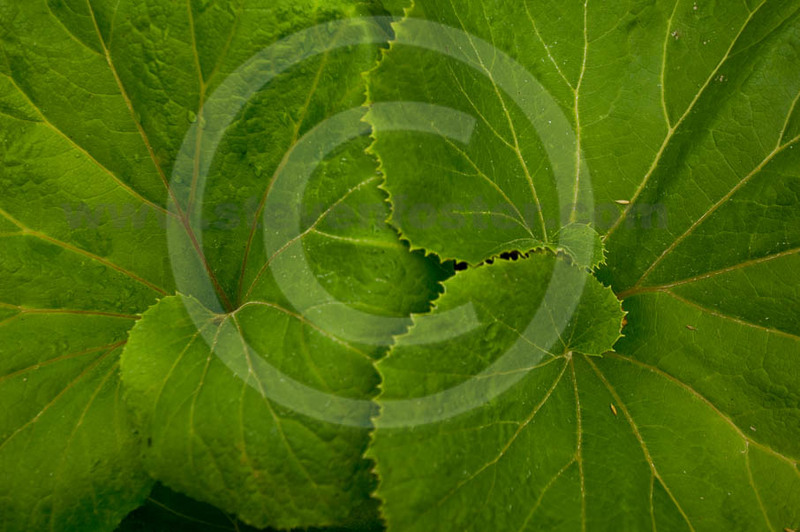 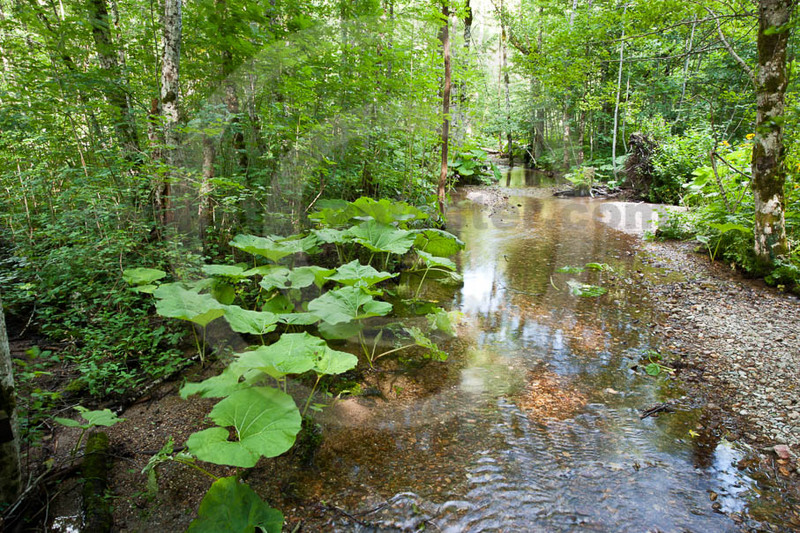 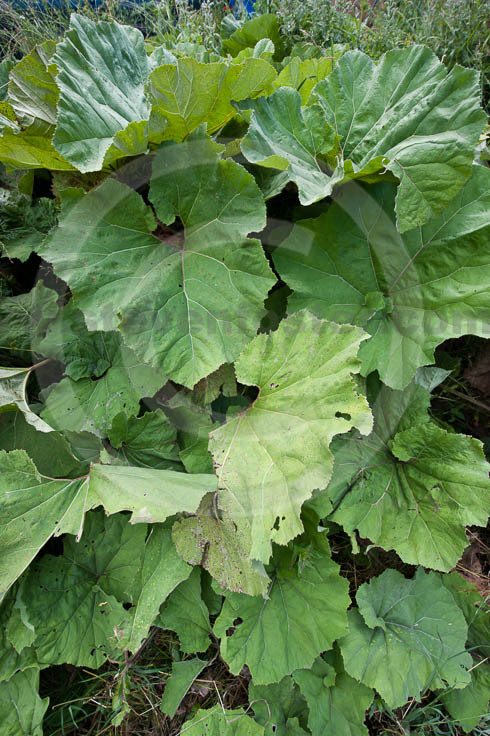 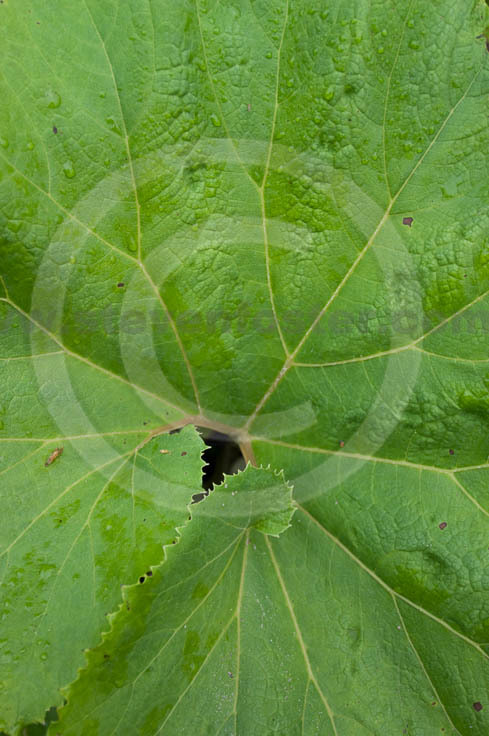 Petasites officinalis is an obsolete synonym.